Our gluten-free Japanese-style chicken, served with a pea and herb rice, is also low in fat and high in protein. Put the rinsed rice in a pan, cover with 500ml cold water and bring to the boil. Simmer gently with a lid on for 10-12 minutes until tender. Add the peas for the last 5 minutes. Drain any water and keep the rice warm. Meanwhile, heat the sesame oil in a large saucepan over a medium heat. Add the diced chicken, turn up the heat and fry until golden. Turn down the heat slightly and add the teriyaki sauce, soy sauce, honey and the juice of 1 lime. Bubble away for 10 minutes, stirring occasionally, until the chicken is cooked through and the sauce has reduced a little. Just before serving, stir most of the coriander and spring onions into the rice. 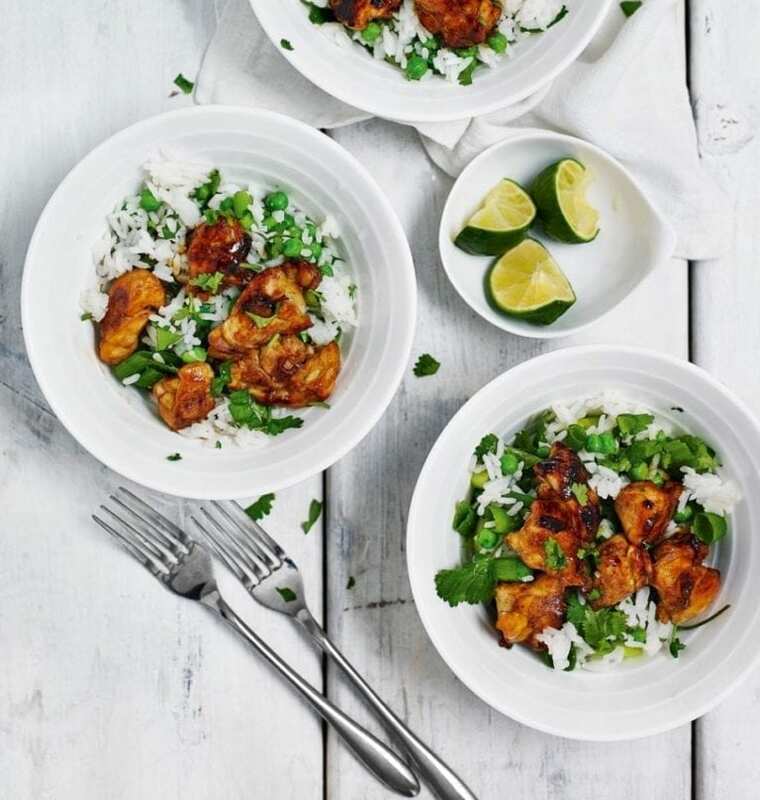 Serve the chicken and rice with lime wedges and the remaining chopped onions and coriander.